The town of Montpon-Ménestérol is known throughout the Aquitaine for its ten organs in perfect working order. Free tours are organised every Thursday in July and August. The tourist board offers two pedestrian circuits for your discovery of the town: one at the heart of the town and a Randoland treasure hunt featuring three fun circuits adapted to children. The market takes place every Wednesday morning in the centre of Montpon. 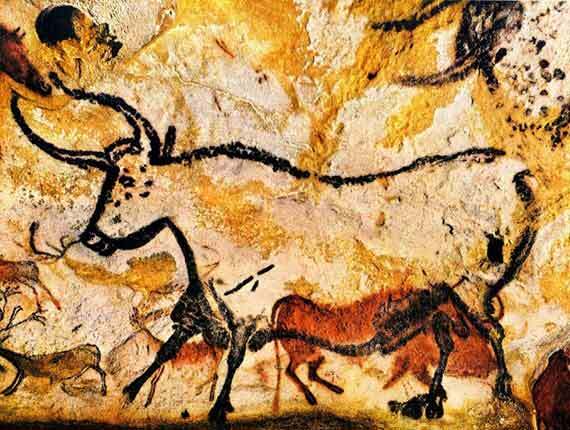 The Lascaux Caves, located in Montignac, are a not-to-be-missed prehistoric site in the Périgord. The new cave art centre, which opened in 2016, offers your family the opportunity to visit or revisit the famous caves – first discovered in 1940 – with age-appropriate audioguides. After touring the cave paintings in the caves, you’ll have plenty of time to explore the various works in the “Lascaux workshop”, where time stands still. Several other rooms complete the tour, including a 3D cinema and a cave art theatre. It is strongly recommended that you book in advance when touring in July and August. You will find restaurants in Montignac near the caves. 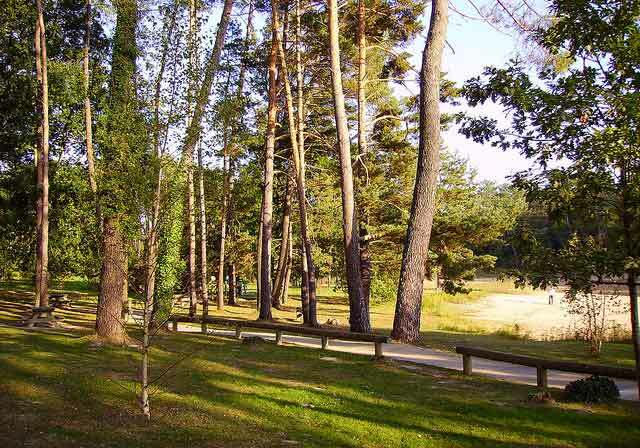 If you love the natural world and hiking through the woods, you’ll be delighted to find two great forests near the La Cigaline campsite. Discover 100 km / 62 miles of fully marked-out paths through the Forêt de la Double, which you may explore on foot or on an all-terrain bike. 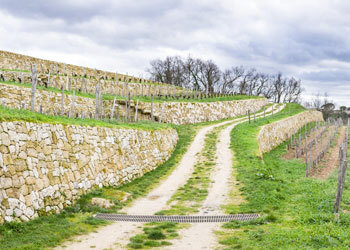 Enjoy a family-paced stroll through the Forêt du Vignoble in Beaupouyet, featuring various theme paths such as the Petit Poucet (Hop-o’-My-Thumb) or La Fée Bellipodine (Bellipodine Fairy). 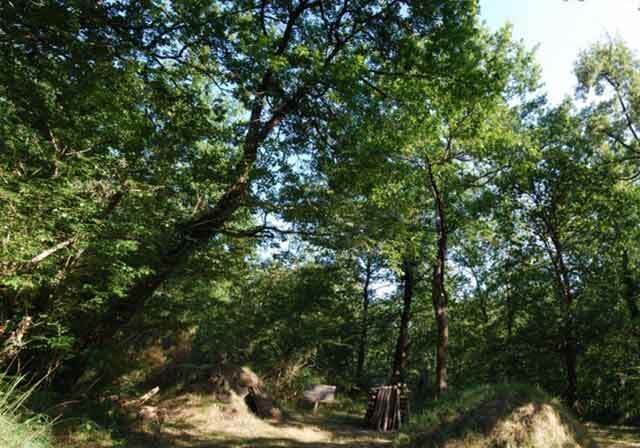 The forest is also equipped with four orienteering courses and a woodland labyrinth. Want a stroll in Dordogne over the water in peace? 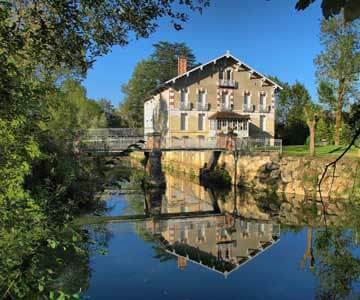 The barge of the Mill of Duellas in Saint-Martial-d’Artenset will enchant you. 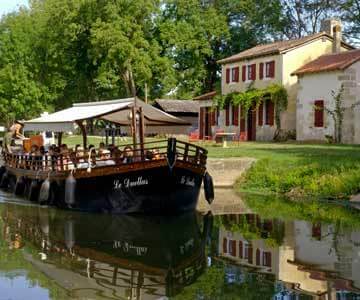 Embark on the Isle river, west of the Dordogne, for a cruise lasting more than an hour. Let yourself be carried away in the past by the gabariers by the story of your guide. Admire wildlife and wild flora throughout the journey. Finally, marvel at the passage of the only manual lock still in operation in Périgord. 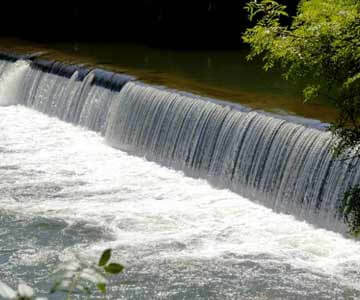 To go to the Mill of Duellas, two possibilities are offered to you. Count less than 10 minutes by car or enjoy the road bike that serves the mill by a footbridge. The bicycle’s greenway is arranged on 100 km between Périgueux and Gironde. Le Moulin hosts open public exhibitions and invites you to visit its biodiversity garden throughout the season. In the heart of the forest of the Double, in Echourgnac, you visit at your own pace the farm Parcot, listed as a historical monument. The team also organizes guided tours of its buildings. The association La double en Périgord regularly proposes activities around traditions and the transmission of know-how. 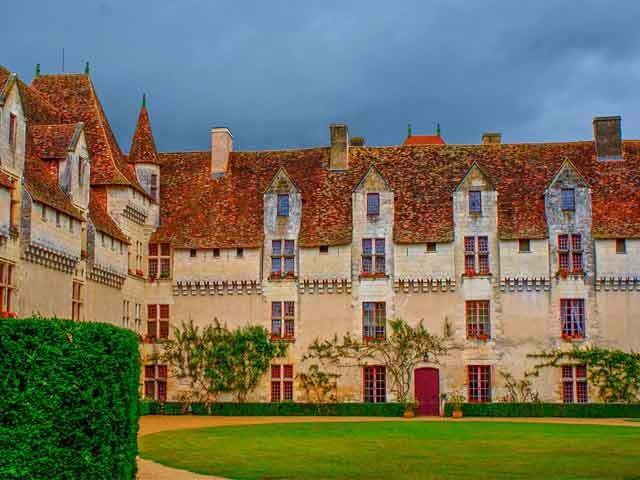 Around the campsite, you can visit several castles like Neuvic, Bourdeilles, Monbazillac or Bridoire. Bridoire, dubbed the Castle of the Games, is know for its important collection of old wooden games, that delight young and old. 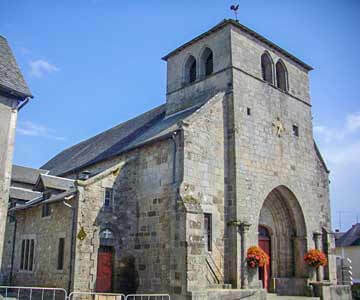 If you go to Echourgnac, the abbey is worth a look even if it’s forbidden to visit. 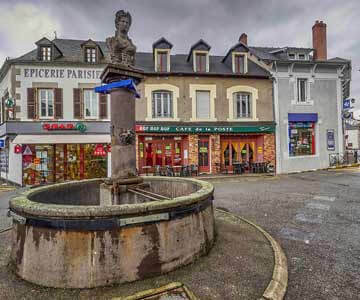 For a day of sightseeing near the campsite La Cigaline, the small town of Neuvic is the ideal place. The river “Isle” is conducive to the breeding of sturgeons, you start the day by visiting the fish farm. 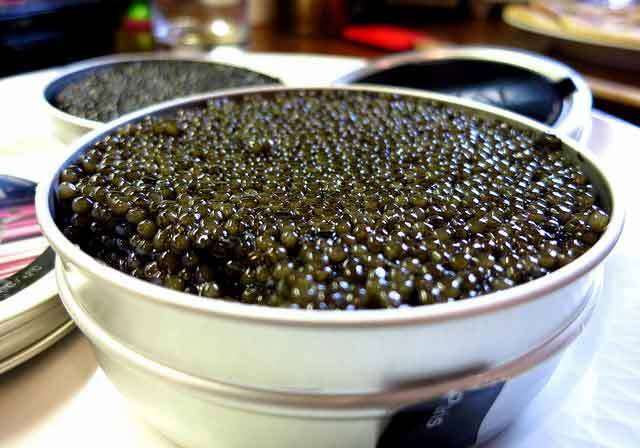 You visit the Huso estate to learn how to make caviar. The volunteers even have the opportunity to rub fish very closely in a pool and then taste the famous caviar Neuvic. Visits are organized on Friday mornings in summer. Close to the fish farm is the oil mill walnut of Veyssière. The oils are made by hand using a stone wheel powered by a water mill. You can observe the different stages of manufacturing on Friday afternoons in summer. 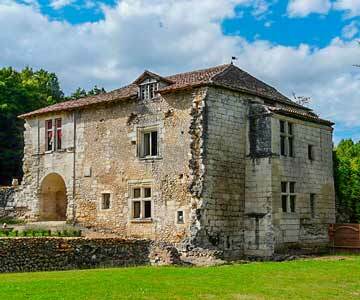 The Dordogne is famous for its many castles, Neuvic has his. The interiors are open to visitors in summer and the vast botanical park is open from April to October. 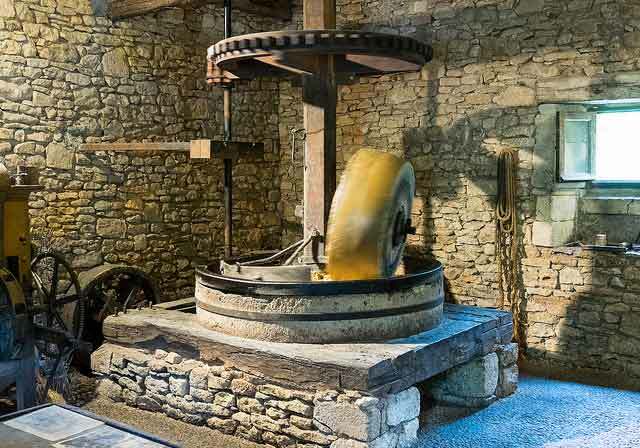 In Neuvic, at the Mill of Veyssière, visit a water mill still in operation where are produced walnut and hazelnut oils. In July and August, there are oil presses on Friday afternoons. The Isle River is suitable for raising sturgeons, so several caviar farms have been established. The closest to the campsite is the Caviar de Neuvic ? where visits are organized on Friday mornings in summer.